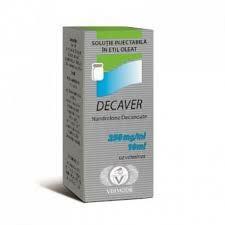 Decaver from Vermodje is a steroid with a rather high anabolic and moderate androgenic activity. The active substance is nandrolone decanoate. In the human body, nandrolone can be formed naturally by prolonged and severe physical exertion. However, the concentration of the main metabolite of the substance – 19-noradrosterone, scanty, and is only a few nanograms per milliliter of urine. 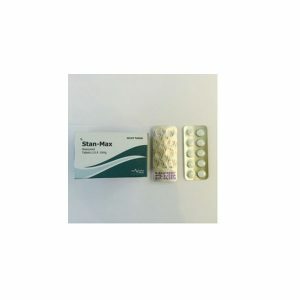 In medical practice, nandrolone is used to strengthen the osseous system and musculature of patients, and it is often prescribed to the elderly. The following side effects from Dekver are indicated in the instructions for use: back pain, headaches, rash, rhinitis, high blood pressure, irritability and abdominal pain. 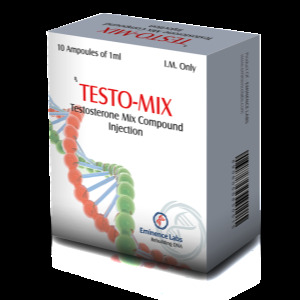 Progestin effects, such as a decrease in libido and gynecomastia, are also possible. However, all this occurs only when the recommended dosages and regimens for taking the drug are not observed. Nandrolone Most athletes are satisfied with the severity of effects, the tolerability of injections, the minimal phenomenon of rollback and the quality of the recruited mass. Reviews about the Decaver produced by Vermodje indicate that the product is reliable and quality. Reviews of Decaver, published by women who took the injection, describe it as a fairly safe means, not causing the phenomenon of virilization. In this case, the majority of athletes took the minimum dosage with a reduced duration of the course.